A Wee Heavy is an example of a Scotch Ale (not to be confused with a Scottish Ale, which is different). The beer is very malt forward, comprised of six different malted grains, including some peated malt for a delightful smoky character. The Hop bitterness is nearly imperceptible and is a deep copper coloured brew. We enhanced the natural caramel character — which comes from a long boil in the kettle to caramelize the wort — with 40kg of genuine maple syrup shipped in from Ontario, which gives the beer a sweet smoothness that belies the 7.3% abv. 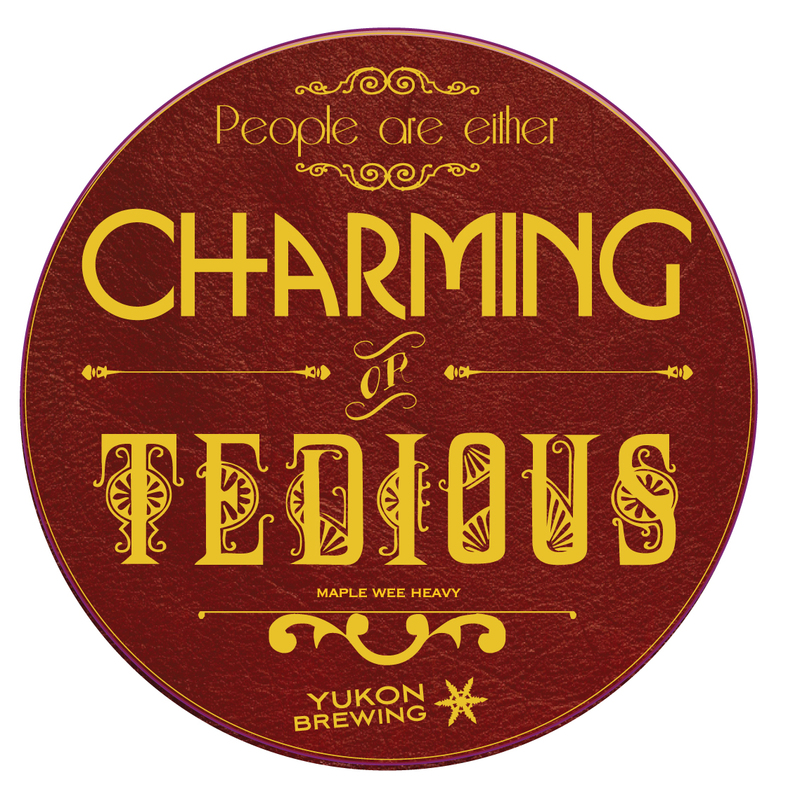 The name “Charming or Tedious” is inspired by Oscar Wilde’s work Lady Windermere’s Fan. Wilde was known for his love of of a good drink and he had often said that “drink is the curse of the writing classes.” While in Scotland he developed a great love for whisky while writing this book. The smoky, peaty character of this brew, gives it a great likeness to its cousin whisky and Wilde’s quote caught our eye “It is absurd to divide people into good and bad. 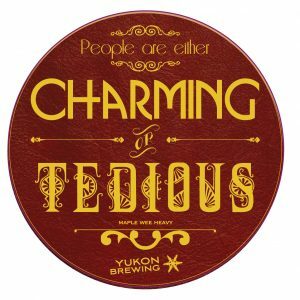 People are either charming or tedious.” Because just like people, we hate to divide beers.